A few weeks ago, the digital marketing agency that I work for hosted a coffee morning to raise money for the fabulous cancer support team at Macmillan. The turn out of scrumptious home bakes was pretty awesome and we raised a decent lump of cash for the amazing charity. In the afternoon, the remaining cakes were loaded onto a trolley that appeared out of nowhere and went for a spin around the office. I was all caked out by this point...but what did catch my attention was the tea trolley which I learned was homeless...The cogs began to turn. 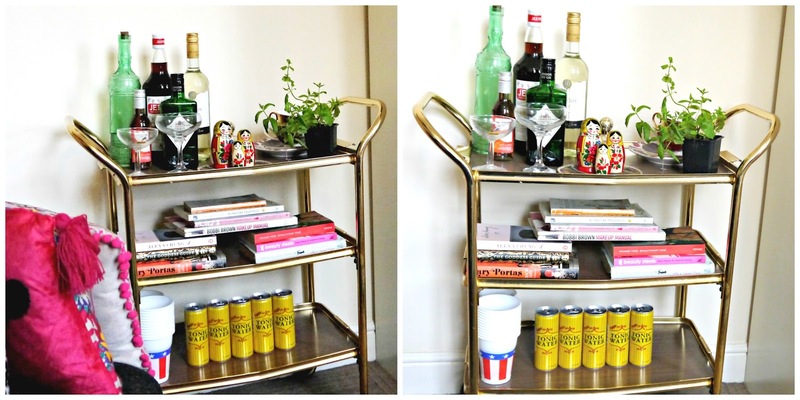 If you follow me on Pinterest you may have seen me feeling pretty inspired recently by bar carts - I just think they are wonderful components for any room and look super quirky. You guys know I am a fiend for antiques and anything with a retro / nostalgic twist and so I figured if the right 'cart' was found I was going to create my own. Remember that old tea trolley I mentioned? With a good old scrub, a little coating of Brasso and some thought into how I wanted my cart to look, I finally created something that just pleases me so darn much and scratches my Pinterest inspired itch. 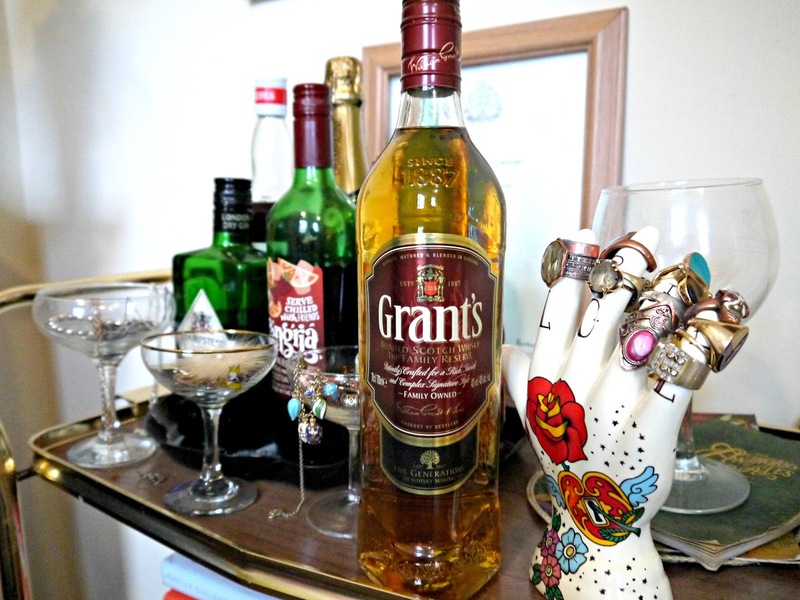 On the top shelf, I have a few spirits and mixers including Pimms and gin (obvs) as well the stronger stuff, Grant's Whisky the oldest family owned blended Scotch whisky - a smooth, rich and mellow blend with tasting notes of vanilla sweetness with a malty and light floral fragrance. 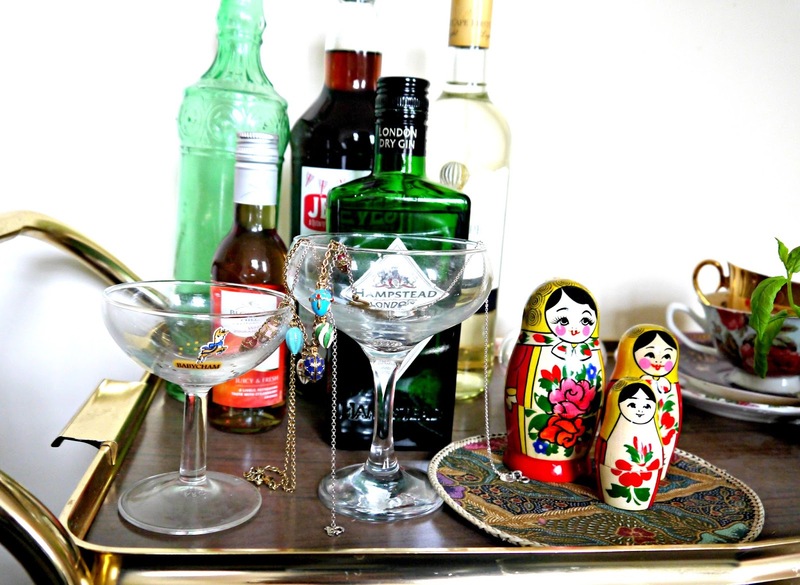 Also housed on there is a vintage Babycham glass and a martini glass I 'acquired' from my favourite bar in town. I also have a few bits and pieces including a tea set from the V + A museum and an antique gold plated teacup that belonged to my Nana. For some reason a mint plant has also found its way on there too but I like the greenery and the touch of nature it brings to the party. On the second shelf I house some of my favourite books including a copy of 'The Great Gatsby' Alexa Chung's memoir and the classic Revolutionary Road which I chatted about here. 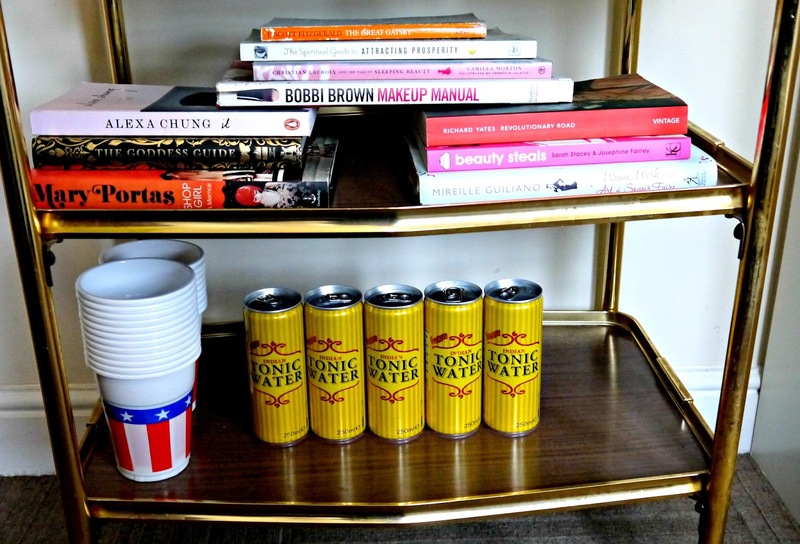 On the bottom shelf I store some stars and stripes cups that my Aunt bought me when I visited the US and of course my tonic which I love how retro they look with the charming yellow and red striped packaging. 15p from Lidl! I dare say that I will shake up how I style my cart but I bloody love it and I hope to take it with me wherever I go. 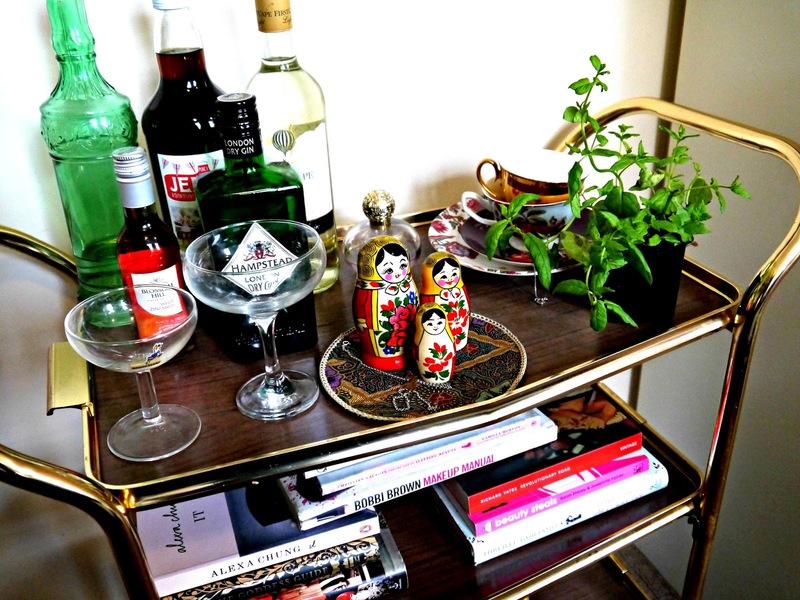 What do you think of the bar cart trend?